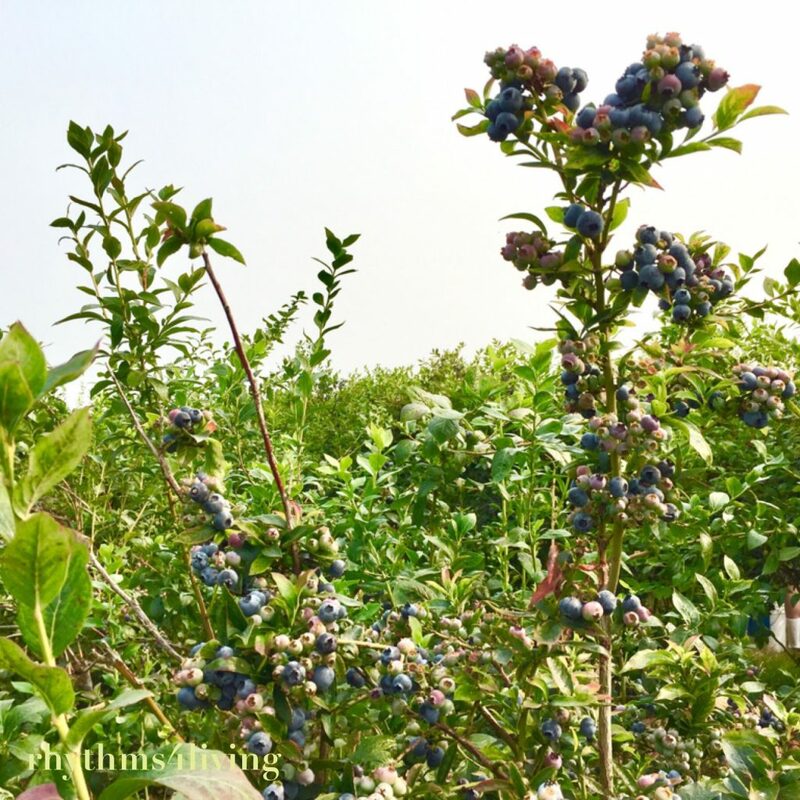 One of our favorite family activities is going blueberry picking. We discovered the many u-pick farms around our area last summer and were immediately hooked. We pick strawberries in June and blueberries in July and August here. 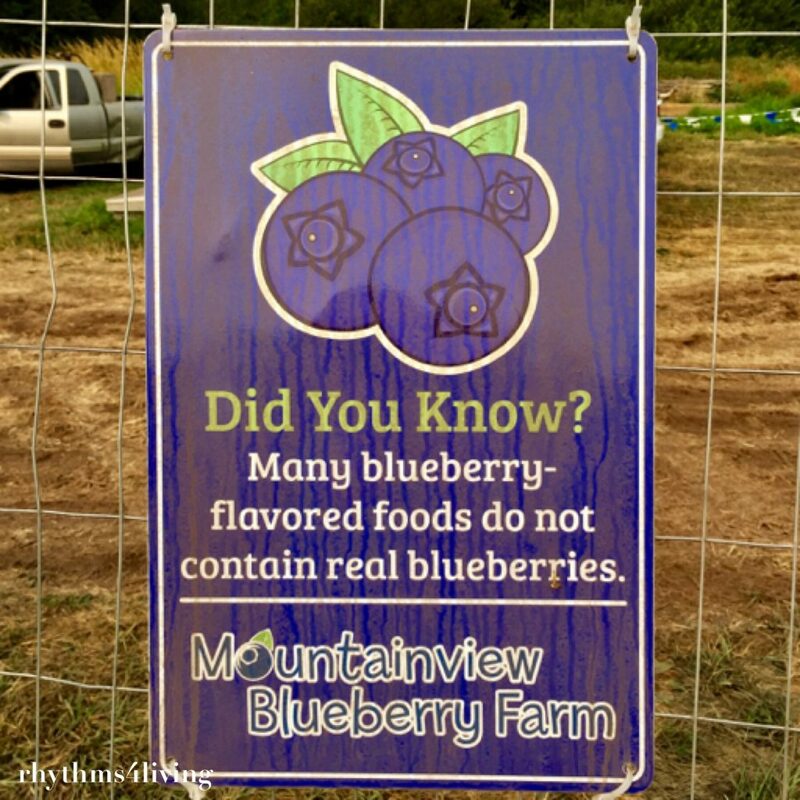 Our favorite farm is a local one called Mountainview Blueberry Farm. 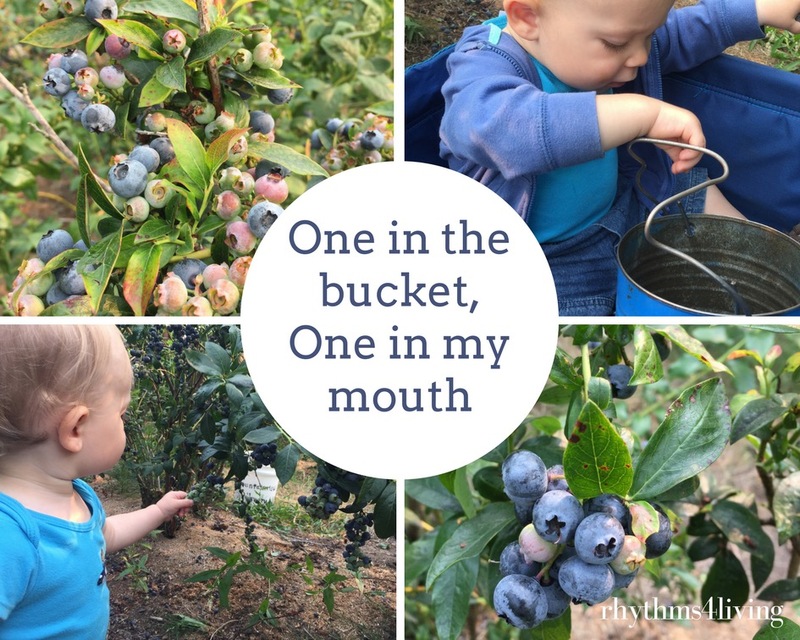 We each grab a bucket, throw the little one in the wagon, don hats and sunglasses, and head into one of many rows of blueberry bushes as tall as us. 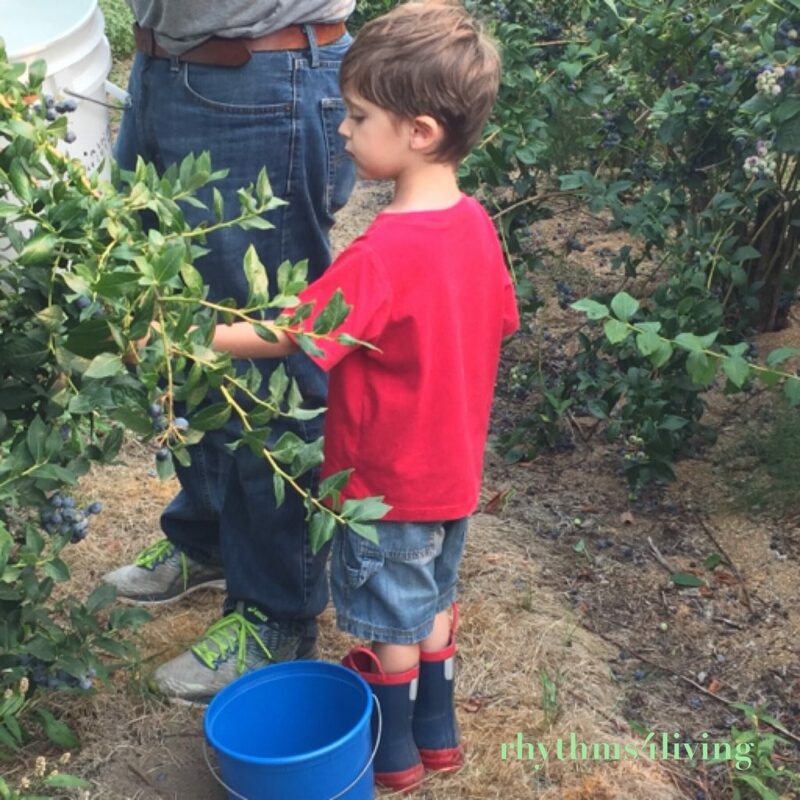 My son quickly learned how to correctly pick blueberries, finding the big juicy ones and passing on the small green ones. He also discovered how tasty they are! We noticed that he was mostly putting them right in his mouth rather than putting them in his bucket. We told him to put one in the bucket and then one in his mouth. He heard, one in the bucket, ten in his mouth. A year later he still has trouble remembering to put them in his bucket and not just in his mouth. 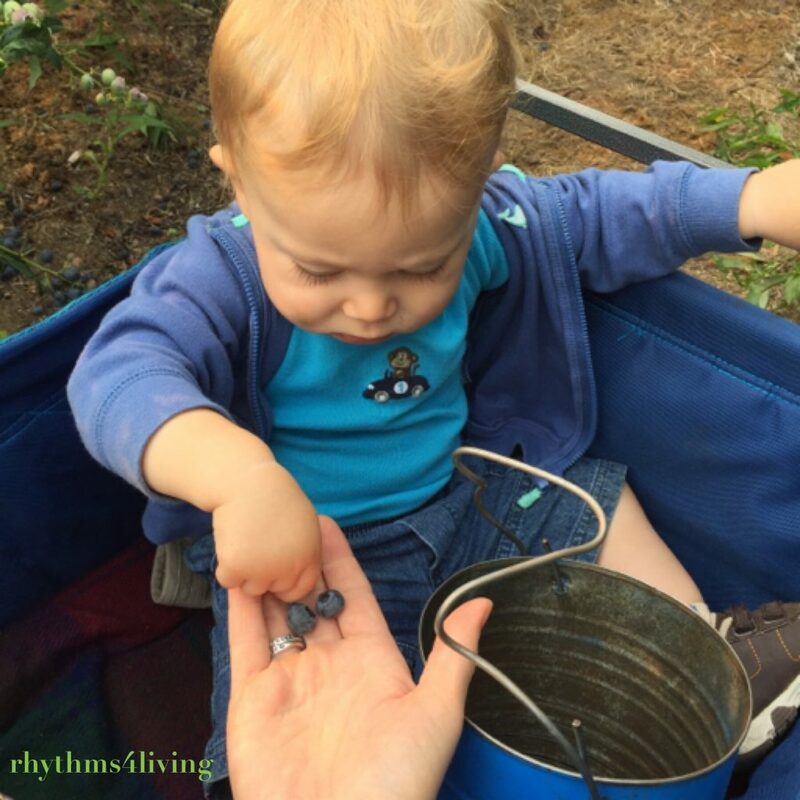 This year our youngest son had his first opportunity to try picking blueberries. He wasn’t very successful in picking them but he did like putting them from my hand into the bucket. All was fine until he grabbed the bucket and dumped it out all over the ground. From then on he was encouraged to find sticks and dig in the dirt! I especially enjoy the quiet that nature brings. It is so peaceful and enjoyable being outdoors as a family, breathing the fresh air, feeling the warmth of the sun and the cool of the breeze; feeling the earth firmly below, the expanse of the sky above, and the beautiful green and blue of the berry bushes. The only sounds are the kerplunk of the berries in the bucket, the gentle murmur of other families close by, and the buzz of an occasional plane overhead. Summer days can get quite hot as the sun beats down so I recommend going earlier in the morning or later in the afternoon and be sure to grab a wide brimmed hat. Sunscreen, sunglasses, and drinking water are good too. Plan for at least 45 minutes for a good amount of berries. 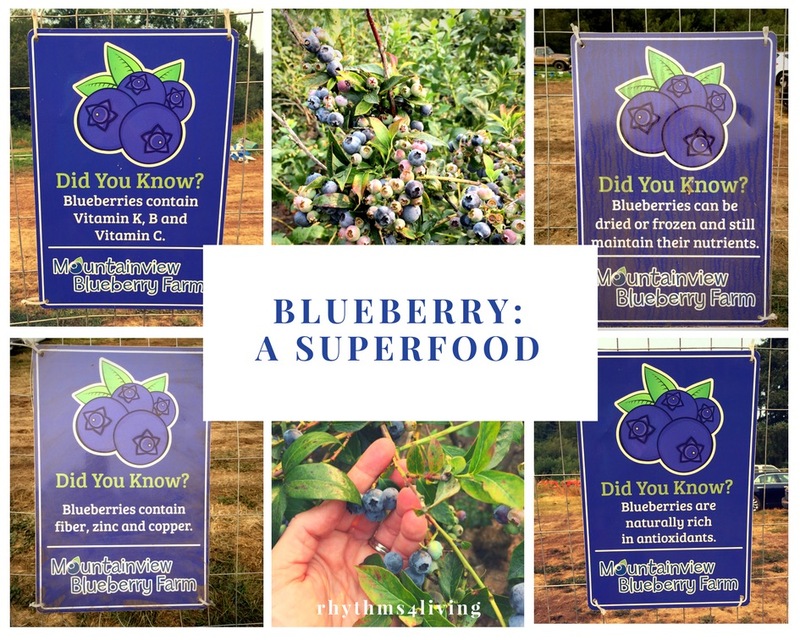 Blueberries are a superfood in my opinion. They are full of vitamins and antioxidants. They are great fresh or frozen, in baked goods, cereal, oatmeal, pancakes, or salad. We will easily eat up the majority that we pick in a week and will freeze some for later. The kids even like eating them frozen later on as a fun snack. If you haven’t experienced a family outing of berry picking I highly recommend it. You are sure to feel refilled after bonding with your family in nature. Bonus: yummy berries to snack on for days…or months if you freeze some. 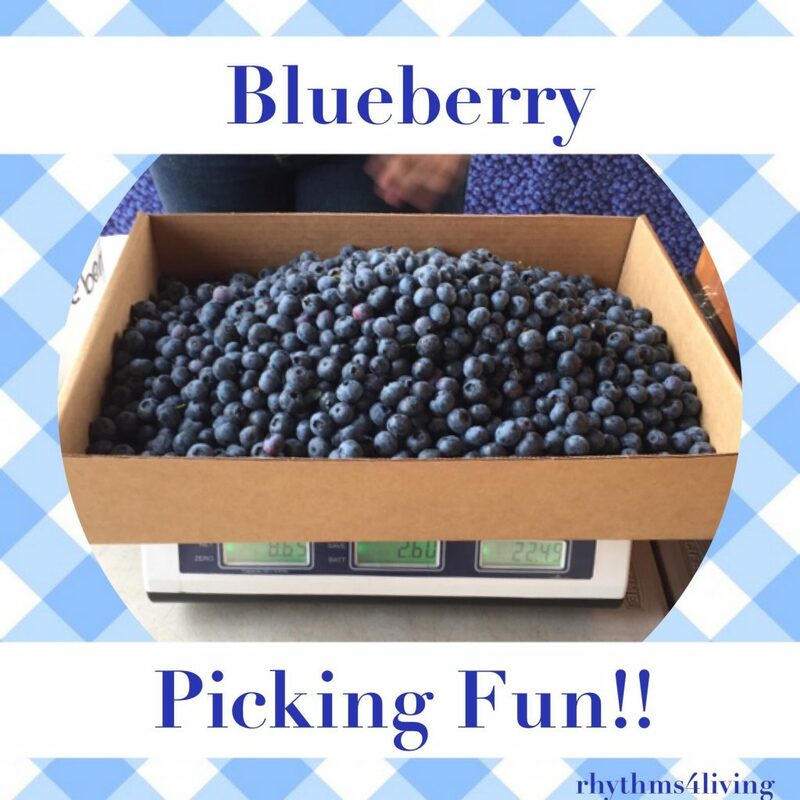 Have you tried berry picking? What are your favorite memories? Best tips? Favorite baked goods with blueberries? Share in the comments! We have loved picking blackberries this August with our girls when we go on walks together. It is fun to see our two year old daughter recognize the blackberry bushes as we walk along different routes. Our boys have started to recognize the blackberries this year too. They seem to be everywhere! So fun!